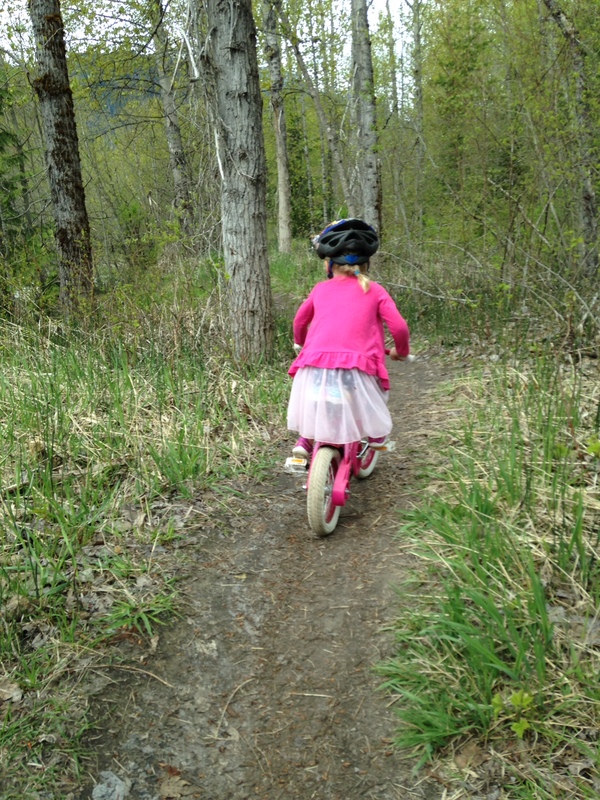 Anja rode her first “real” mountain bike trail this morning, the Bathtub trail. She was appropriately dressed in a helmet, a stripy dress, a grey cardigan and pink glitter shoes. Obviously. As she wound her way through the twists and turns, she never stopped talking. Again, obviously. “I am the awesomest mountain biker ever”! If I can channel that kind of confidence next weekend in St-George, look out.